San Disk has just unveiled the biggest SD card in the world, the new memory card can contain a whopping 1 TB (terabyte) of data. Amazing right? The SD card is just a prototype for now, there has been no news on its release date or price, but it is an amazing milestone to reach for the information technology industry. Western Digital- the company that produces the SanDisk SD cards, recently noted that it was only 16 years ago that the company introduced the popular 64 megabyte SD card, fast-forward to two years ago they debuted the 512GB card for $800, which was then the world’s biggest. 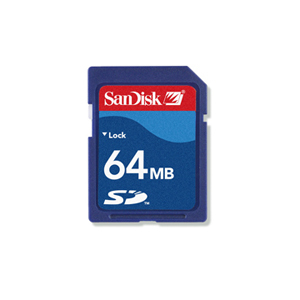 Today’s 1TB version offers 16,384 times more storage than it’s first SD card- the 64 megabyte memory card. Imagine what the new 1TB card can offer, you can just insert it in your smartphones or camera and essentially forget it even has a storage cap at all. Plus, if you working with a 1TB SD card there’s always the danger you’ll have too much space and forget to ever switch cards. Now imagine the anguish if your 1TB card corrupts and you lose everything on it.